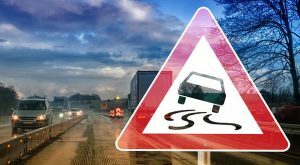 Interstate 84 (July 2, 2018) – A head-on collision between two vehicles left people with serious injuries on Sunday evening. Police say the crash occurred in the westbound lanes of the highway between exits 60 and 61 when two vehicles traveling in the opposite direction collided with one another. When police arrived on scene both cars involved in the crash had caught fire. It is unknown if anyone was inside the vehicles when the fire began. A helicopter was called to the scene but was later called off. Both drivers were transported by ambulance to a local hospital with serious injuries. At this time, the extent of the injuries and whether they are considered life-threatening is not known. When you are hurt in an accident it is easy to feel like your world has been turned upside down. Car accidents happen when you are least expecting them to occur. With accidents that happen on a highway, such as this one, the accident is more likely to cause serious injuries due to the typically higher speeds involved in highway collisions. This accident is made even more serious by the fact that it involved a wrong way driver.